Joan was kind enough to volunteer to roast me on my 50th birthday at XL nightclub. I have strong opinions, so I can't really blame others for having their own. But I can still disagree with them. 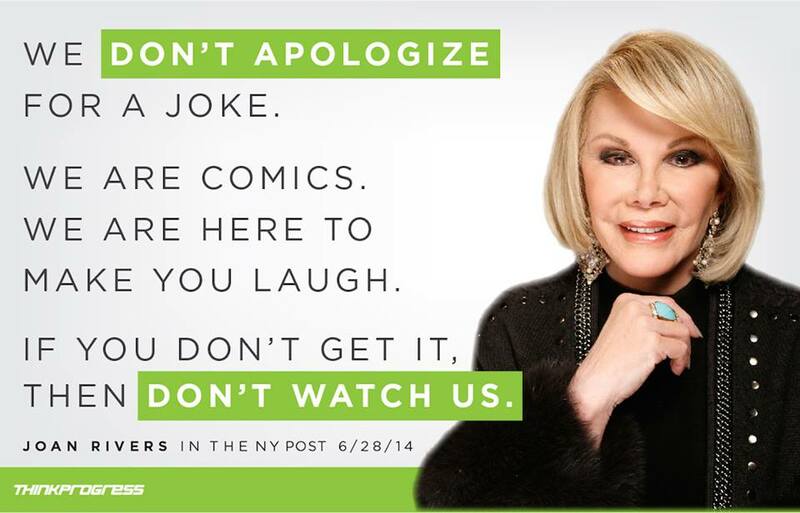 I'm a little surprised that many people are critiquing Joan Rivers for her recent statements about people in Gaza. I couldn't agree with Joan less on this, and I guess she was a Zionist. But Joan didn't make a lot of public statements about this, or any other of her politics. She wasn't a political pundit. Can't we just appreciate her for the main things she did talk about--great comedy? Do we have to hold her feet to the fire for a few statements? Do you agree with everyone all of the time? Do her that statements you don't agree with negate all of her life's work as an outrageous, groundbreaking A-List comedienne? 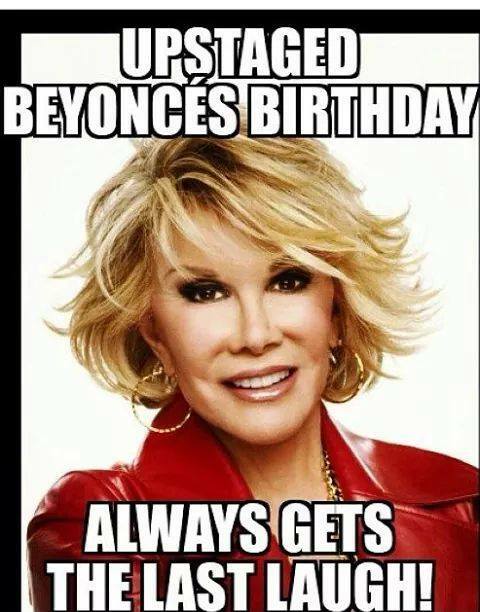 Joan was also a Republican, which I'm on the opposite political spectrum from. But I worked with her at a benefit for Theater Tweed years ago and popped into the dressing room she shared with Lypsinka. There she was, about to do an unpaid benefit gig and leaving for Japan in the morning. Joan and her manager were going to town, discussing this venue and that venue. 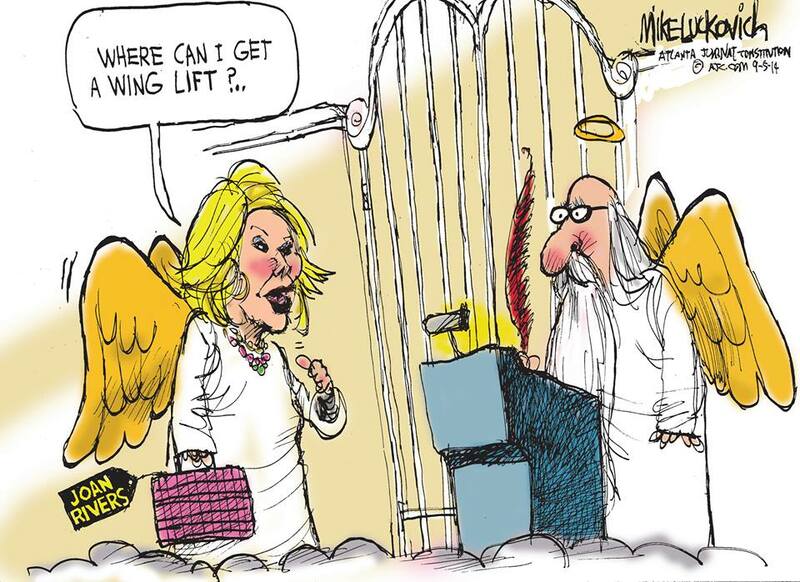 And Joan was clearly driving the conversation--the manager really seemed more like an assistant. I've never seen anyone work that hard. So when Joan the Republican claimed that she worked too hard to give her money away to those who didn't, even I had to admit that after seeing her in action, she had a point. And I'm a big government supporter! I find it odd that people would slam her life's work because they disagree with her on a few things--and these were positions which she didn't really even state that often. I prefer to remember the laughs.